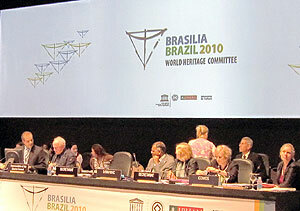 The 34th session of the World Heritage Committee was held from July 26 to August 3 in Brasilia, a city that is commemorating its 50th anniversary this year. (Currently, Japan is an observer, not a committee member.) It was conspicuous in this session that despite the recommendations of the advisory bodies for enquiring about information or putting off nominations in the World Heritage List, many cases were decided to be nominated. Some committee members stated that the professional opinions of advisory bodies should be respected and the reliability of the List should be taken into account. However, we got the impression that many countries had complaints and were dissatisfied with the opacity of advisory bodies and the decrease in nomination recommendation rate. 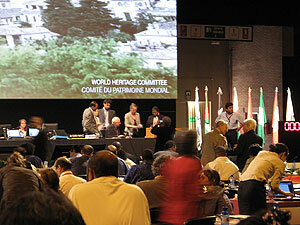 Meanwhile, the conservation state report exposed multiple territorial disputes in lands that contain heritage sites listed as World Heritages. It can be said that the system related to World Heritage is approaching a turning point regardless of whether the heritages are already listed or newly nominated. We believe Japan has a lot to do toward the 40th anniversary, in two years’ time, of the Convention concerning the Protection of the World Cultural and Natural Heritage, such as proposing solutions. The above meeting (ICC) was held in Siem Reap, Cambodia, from June 8 to 9, and activity reports were given by specialists in various fields from Cambodia and other countries who work around the Angkor Site. Our Institute reported on its investigation on the influence of plants on stones at the Ta Nei site. Recently, ICC has been concerned with how the ambient environment and plants are related to the deterioration of stones, but they are understood in an extremely simple manner, i.e., the idea that “no trees at site must be cut down since that will cause the stones to deteriorate”. A rush to obtain results may lead to conservation processes being conducted based only on the track records of researchers’ home countries. We ended the presentation by pointing out the need to conduct long-term investigations at local sites for such an issue that is closely associated with the environment, and gain the understanding of teams from other countries that are conducting similar investigations. 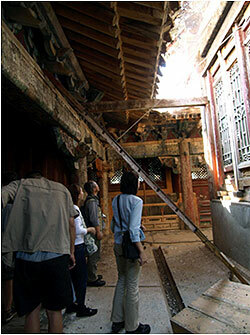 The National Research Institute for Cultural Properties, Tokyo is conducting a training session on how to restore wooden buildings and conserve stone monuments and rock art in Mongolia. This is in the framework of the exchange program of Networking Core Centers for International Cooperation on Conservation of Cultural Heritage, and being coordinated with the relevant organizations and specialists. It has been also made possible thanks to the cooperation of the Japan Consortium for International Cooperation in Cultural Heritage. 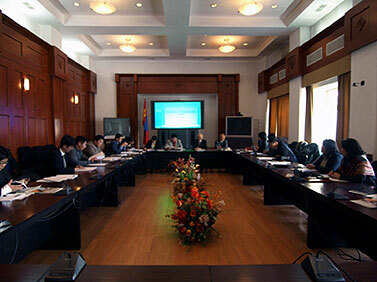 From March 16 to 18, we reported the results of the training and related investigations conducted last summer and discussed the policy for activities in the following year, at the Ministry of Education, Culture and Science and the Cultural Heritage Conservation Center in Ulan Bator, the capital of the partner country, Mongolia. We felt those in Mongolia were satisfied with the results, and sensed their high expectations for the specific proposal for future activities. In the relevant investigation, we interviewed the chairperson of the Mongolian National Commission for UNESCO and asked him about the activities being conducted for world heritages, such as the policy for protecting cultural heritages already listed and the cultural heritages whose listing is to be applied for. 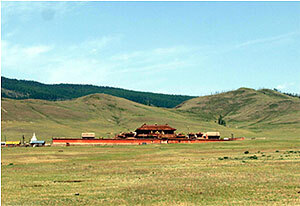 The Amarbayasgalant Monastery, where we are conducting the training for restoration of wooden buildings, is registered in a tentative list of world heritages, and future developments are expected. From September 3 to 13, 2008, we visited Mongolia to conclude the agreement on cooperation for the conservation of cultural heritage of Mongolia with the Department of Culture and Art, Ministry of Education, Culture and Science, hold a workshop as part of an exchange program commissioned by the Agency for Cultural Affairs, and survey the partner country. From September 5 to 8, we visited sites in Khentii Aimag (province), in the conservation of which Japan was asked to cooperate. 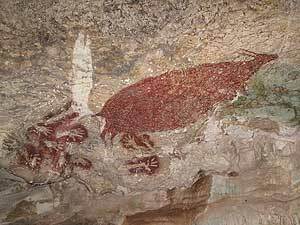 At Rashaan Khad site, pictures of animals and characters of various languages are found on rocks dating from the Paleolithic era to the time of the Mongol Empire. Serven Khaalga site is a memorial of the war in which Genghis Khan participated. 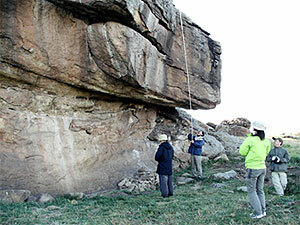 The present condition of these sites, valuable sites that may be called national treasures of Mongolia, were documented by photographs and GPS and the state of their deterioration was investigated. On September 9, the Agreement between the Department of Culture and Art, Ministry of Education, Culture and Science, Mongolia and the National Research Institute for Cultural Properties, Tokyo, Japan on Cooperation on the Conservation of Cultural Heritage of Mongolia was signed. The agreement covers activities such as the implementation of joint projects, cooperation in research and development, capacity development and holding of workshops, all with focus on the protection of cultural heritage. It emphasizes cooperation in the protection of both tangible and intangible cultural heritages while respecting the positions of both organizations. On September 10 and 11, a workshop entitled “Protection of Tangible/Intangible Cultural Heritage in Mongolia and Japan” was held. This was the first of the joint projects between the two organizations and was supported by the Japanese embassy in Mongolia. The topic of the workshop was decided by the government of Mongolia in December 2007 for the purpose of improving laws related to the conservation of cultural heritage, protecting historical and cultural monuments, and promoting economic contribution by developing tourism. 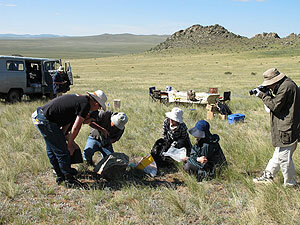 Fourteen people from Japan and twenty from Mongolia participated in the workshop. Four presentations each were given by Japan and Mongolia, followed by a question and answer session. Plenary Session of the International Co-ordinating Committee for the Safeguarding and Development of the Historic Site of Angkor was held at Siem Reap on November 28. 2007. Two meetings of the Committee are held annually. 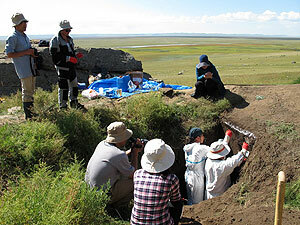 At the Technical Session, reports are made about the activities of various organizations engaged in the conservation and investigation of the site. 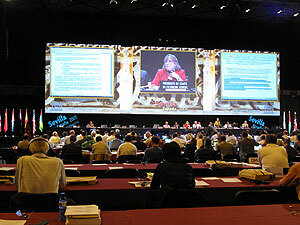 The Plenary Session, however, is an occasion for holding more comprehensive discussions. At this meeting, oral presentations were limited to some of the large-scale projects. Most of the organizations submitted written reports of their activities and the proceedings of these reports were distributed. Although the target of this Committee is the Angkor Site, Preah Vihear site was frequently the topic of discussion at this meeting. This site is located on the border of Thailand and is an important site whose registration on next year’s World Heritage List is being considered. It has been recently decided that Thailand will cooperate in the preservation and maintenance of this site, and several other nations in the Committee are debating about setting up an International Co-ordinating Committee for this purpose. Under such circumstances nations concerned expressed their intent to participate. Although nothing concrete has been decided about Japan’s role, it is certain to be important and discussions will have to be made as to what can be done. 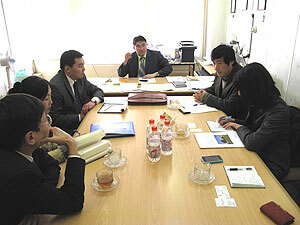 The Japan Center for International Cooperation in Conservation conducted joint research in Thailand and Cambodia with the Fine Arts Department of the Ministry of Culture of Thailand and the Authority for the Protection and Management of Angkor and the Region of Siem Reap (APSARA) respectively. 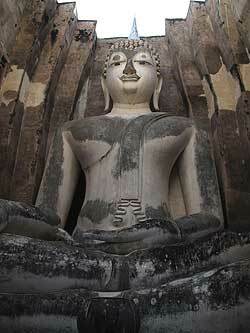 In Thailand, on-site investigations were conducted at Sukhothai and Ayutthaya sites. At Sukhothai site, measures against moss and algae growing on the great Buddha of Wat Sri Chum were studied and experimented; at Ayutthaya, investigation was made to assess conservation treatment executed three years ago on a brick structure. 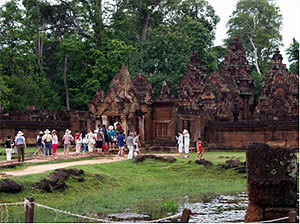 In Cambodia, investigation of vegetation growing on the surface of stone cultural heritage was conducted at Ta Nei site. Sandstone in the vicinity of Mt. Kulen, the quarry from where the stones of Angkor site were obtained, is also being investigated.